Citrus fruit tea from TEEKANNE. Enjoy the full flavour of fresh lemons, juicy oranges and tasty limes combined in this exquisite fruit tea blend. 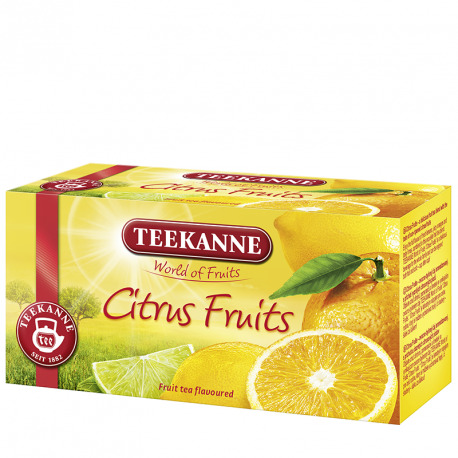 TEEKANNE World of Fruits Citrus Fruits is a delicious beverage for the whole family and can be enjoyed both hot and cold – cup after cup! Flavoured fruit tea blend with orange and lime taste.